Microsoft reports record revenues of $16.43bn (£9.86bn) this week for its third financial quarter (ending March 31 2011), with sales of the Xbox 360 and Kinect helping to boost Redmond's coffers. Revenues were up 13 per cent year-on-year, with overall profits climbing 10 per cent to $5.7bn (£3.42). 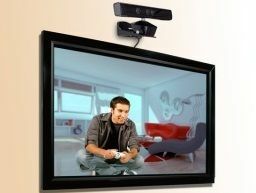 The past year has seen record sales of Xbox 360 consoles, increased by the launch of the new Kinect motion controller in late 2010. Microsoft's Entertainment & Devices Division (EDD) posted revenues of $1.94bn (£1.16bn), up 60 per cent compared to the first quarter in 2010, with EDD profits up 50 per cent to $225m (£135m). 2.7m Xbox 360s were sold over the quarter, which means total Xbox 360 sales are now near to 53m units worldwide. "We delivered strong financial results despite a mixed PC environment, which demonstrates the strength and breadth of our businesses," CFO Peter Klein said. "Consumers are purchasing Office 2010, Xbox and Kinect at tremendous rates, and businesses of all sizes are purchasing Microsoft platforms and applications." Microsoft predicts EDD revenue should increase by around 25 per cent in the next quarter. The company also added that it has sold 350m Windows Phone 7 licenses.